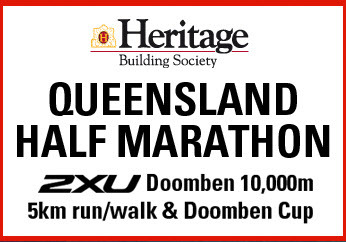 Competed in the Queensland Half Marathon this morning. Conditions were perfect: clear skies, cool temps and next to no wind. Perfect for a PB. Which I did! 1hr 26min. Sliced 7 minutes off my previous record so very very happy with that. I think the long runs in recent weeks have helped. I managed to pace myself really well – just over 4min kms throughout. Nice even paces. So, feeling very confident for the Gold Coast in a months time. Only concern is my knee is playing up a little and my hip isn’t feeling great. My fitness is there, but can my body hold up… that’s the question!